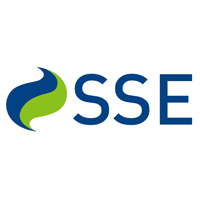 SSE Plc (LON:SSE), has entered into an agreement to sell a 49.9% stake in its Stronelairg and Dunmaglass wind farms to Greencoat UK Wind Plc (“UKW”) in partnership with a major UK pension fund whose investment is managed by Greencoat Capital. The stakes equate to 160.6MW (megawatts) of capacity and the total consideration is £635m, which implies an average valuation for the two wind farms of around £4m/MW. SSE will continue to operate both assets while future development rights are in line with equity share. SSE announced in November 2018 its intention to create value through disposals of stakes in its growing portfolio of onshore and offshore wind farms, in line with its strategy to create value from development and operation, as well as ownership, of assets. The transaction is expected to complete by the end of March 2019. Following this, and the completion of the Beatrice offshore wind farm (SSE share 40% or 235MW), expected in Spring 2019, SSE’s renewable generation capacity will be around 4GW (gigawatts) with an expected average annual electricity output of around 11.5TWh. SSE intends to use up to £200m of the proceeds to fund a discretionary share buyback in accordance with the authority granted by shareholders at SSE’s Annual General Meeting on 19 July 2018 and Chapter 12 of the Listing Rules. The remaining proceeds will be used to reduce net debt. The buyback is expected to commence before the transaction completes.